I would love it to expand to other parts to see how, among different cultures, different young people can relate and can learn a little more about these audiovisual media. No matter the race or the language, we are always looking for ways to make friends, who can learn from us and us from them. If I could, I would spend all day with a camera next to me, recording and editing. It has happened to me, when I see an immigrant in the street, then I think about this project and that I don't really know anything about this person. My utopia would be to create a TV like the one we are creating, anti-chauvinist, open-minded, where everyone can cooperate and put their part. We want people to know that not everything is what they put in the newspapers or on TV, there are evictions, but also they know there are good people here in Ciutat Meridiana. elParlante is a commitment to the conviction that communication is more a process than a message, that is why their projects conceive the purpose of communication is more the way of doing it than the content. It is the interaction with other contexts, through communicational processes and experiences where interculturality is constructed, it is in the action of communicating, of expressing oneself, from which those who participate in their projects affirm their citizenship. Participation in elParlante is not a methodological option but an action inherent to the communicative exercise. 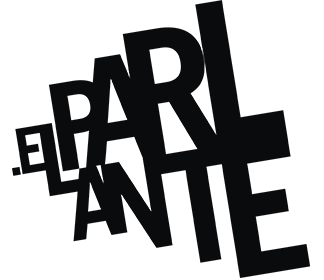 elParlante is a very active entity in channeling the voice of young people through various Educommunication initiatives and audiovisual co-creation processes, both in formal and non-formal education spaces. Therefore, they make way into a line of work complementary to ours, with enormous possibilities and very enriching for the city of Barcelona. I believe that the project you make is of fundamental importance because one of the things that it shows, with some exception, is the lack of knowledge we have towards other cultures and other peoples. It's abysmal! Just educating the new generations, the children and the young people from high school will be interested in others, to see in others a wealth for us and our lives. They can improve our vision of the world to achieve a different world, until now absolutely divided and ignorant of each other.